Whoever said there’s no such thing as a free lunch simply hasn’t yet met a Four Seasons Preferred Partner. Not that any of us NEED a free lunch, but why refuse it (especially at top restaurants in some of our favorite hotels worldwide!?). Simply book your next Four Seasons stay through a Preferred Partner (like Elite Travel International) and enjoy a complimentary lunch at the hotel OR a $100 spa or golf credit (note: perk varies per property). 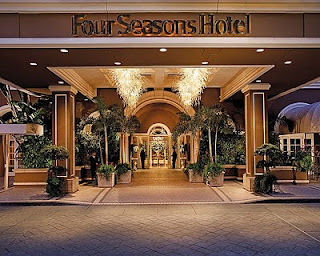 The Four Seasons in San Francisco, Miami & Palm Beach, for example, offer the free lunch, while the Four Seasons Los Angeles and the Beverly Wilshire extend the spa credit. Regardless which Four Seasons you book, your exclusive Preferred Partner rates will always include daily breakfast for two plus an upgraded room or suite if available. Late check out, early check in and other special requests are always prioritized for Preferred Partner clients, while suite guests also enjoy free internet access. Speaking of free, Preferred Partners are first to hear about which Four Seasons offer comp nights to priority clients. Costa Rica, Hawaii, Bora Bora, Thailand & Punta Mita, Mexico currently have fifth-night free promos in place, while Bali, Los Angeles, Palm Beach, Jackson Hole, Buenos Aires offer a free fourth night (date dependent). And why stay only two nights in your city of choice when the third is free? This special promo exists in NYC (this summer), Chicago, Boston, Vegas, Scottsdale, Seattle, Santa Barbara, Austin, and San Francisco. Promos do vary based on the dates of stay in each city. 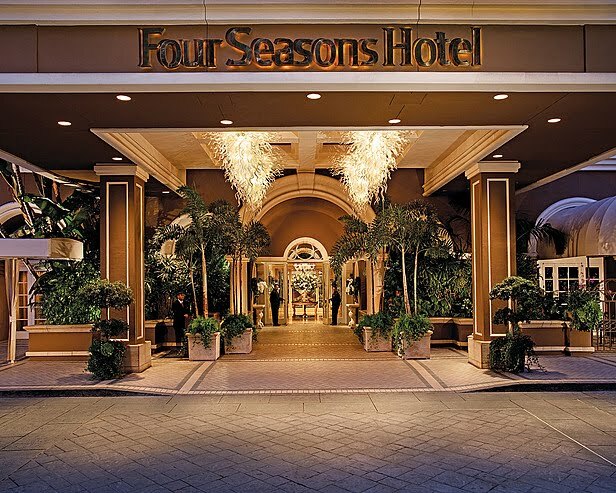 Keep in mind too, that a number of the Four Seasons—including those in San Francisco & Los Angeles—are fresh from major facelifts inclusive of all guest rooms and luxury suites (up to the Presidential level). The newly redesigned 17th floor Presidential Suite at the Four Seasons San Francisco is highlighted by a custom-made Brunschwig & Fils sofa; lounge chairs from William Switzer’s Lucien Rollin collection; Barbara Barry’s “high back shelter” chairs by Baker; a Berman Rosetti coffee table; handwoven custom rugs; and a 50-inch flat screen TV. The Four Seasons Los Angeles—which was sorely in need of a room redo for years—recently got all that and more when $33 million-plus was spent on a full-blown renovation that included all rooms/suites, the outdoor pool (love the new cabanas! ), the ballroom and main restaurant. The duo of new Presidential Suites (east and west) offer a choice between elegant, romantic glamour (think crystals, blacks, mirrors, creams, plum, hand tufted carpet)and modern design (clean lines, contemporary furnishings, bold artwork and a palette of rich browns, blues, smoky grays and cream). And, complimenting the Doheny Drive Grande Dame’s new look is a refreshing restaurant concept, Culina. Its chic, indoor/outdoor décor (complete with smoking area loved by cigar aficionados, a waterfall and a fire pit), and modern Italian cuisine is reason alone to stop by when in LA. It would be silly to miss out on the benefits extended exclusively to Four Seasons Preferred Partners worldwide. For more information, email elitetravelgal@gmail.com or visit www.elitetravelinternational.com. What once appeared to be strange is currently being all the more promptly acknowledged as fundamentally essential for development.